Amr Shabana reacts during his 2009 Kuwait Open semi-final match. Last updated on: July 2015. Amr Shabana (Arabic : عمرو شبانة‎) (born 20 July 1979 in Cairo) is a former professional squash player from Egypt. He won the World Open in 2003, 2005, 2007 and 2009, and reached the World No. 1 ranking in 2006. Squash is a ball sport played by two (singles) or four players in a four-walled court with a small, hollow rubber ball. The players must alternate in striking the ball with their racquet and hit the ball onto the playable surfaces of the four walls of the court. He represented the winning Egyptian team in the 1999 Men's World Team Squash Championships held in Cairo and the 2009 Men's World Team Squash Championships held in Denmark. Shabana's accomplishments in professional squash lead many to regard him as one of the greatest players of all time. 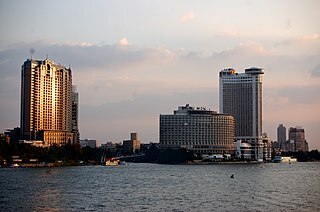 The 1999 Men's Al-Ahram World Team Squash Championships were held in Egypt and took place from September 17 until September 22, 1999. The 2009 Men's World Team Squash Championships is the men's edition of the 2009 World Team Squash Championships organized by the World Squash Federation, which serves as the world team championship for squash players. The event were held in Odense, Denmark and took place from September 27 to October 3, 2009. The tournament was organized by the World Squash Federation and the Danish Squash Federation. The Egypt team won his second World Team Championships beating the French team in the final. The talented left-hander from Cairo first showed his promise when he was the runner-up (to compatriot Ahmed Faizy) in the British Under-14 Open in January 1993. Four years later he reached the final of the British Under-19 Open, where he again lost to Faizy. A PSA member since 1995, Amr claimed his first Tour title with the help of Bryan "Griffin" Knight in July 1999, winning the Puebla Open in Mexico. Seven days later he grabbed his second, the Mexico Open, again by beating Australia's Craig Rowland in the final. The Professional Squash Association (PSA) is the governing body for the men's and women's professional squash circuit. The body operates in a similar fashion to the ATP and the WTA for tennis. The PSA World Tour involves over 200 tournaments annually all over the globe. Over 800 players from all the 5 continents are registered with the PSA and rankings are updated monthly based on players' performances. Craig Rowland is a squash coach and former professional squash player from Australia. As a player, he reached a career-high world ranking of World No. 7 in 1996. He won a Gold Medal in the mixed doubles at the 1998 Commonwealth Games, partnering Michelle Martin. Rowland was also runner-up in the men's doubles at the inaugural World Doubles Squash Championships in 1997, partnering Dan Jenson. Amr Shabana crowned a remarkable year in 2003 when, as ninth seed, he forced his way through a star-studded field in the World Open in Pakistan. He dispatched title-holder David Palmer, the third seed, in five games in the third round. He then went on to take out Palmer's Australian teammate Anthony Ricketts in the last eight. After defeating Karim Darwish (the Egyptian No 1) in a four-game semi-final, Shabana clinched the historic title by beating Thierry Lincou in the final 15–14, 9–15, 15–11, 15–7, to become Egypt's first winner of the sport's premier title. 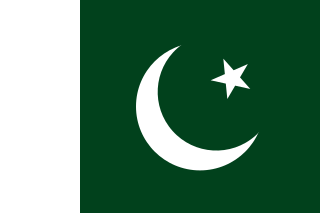 Pakistan, officially the Islamic Republic of Pakistan, is a country in South Asia. 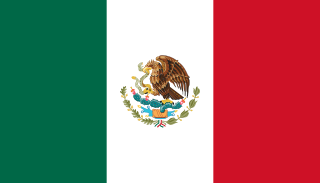 It is the world’s sixth-most populous country with a population exceeding 212,742,631 people. In area, it is the 33rd-largest country, spanning 881,913 square kilometres. Pakistan has a 1,046-kilometre (650-mile) coastline along the Arabian Sea and Gulf of Oman in the south and is bordered by India to the east, Afghanistan to the west, Iran to the southwest, and China in the far northeast. It is separated narrowly from Tajikistan by Afghanistan's Wakhan Corridor in the northwest, and also shares a maritime border with Oman. David Troy Palmer is a professional squash player from Australia. He won the Super Series finals in 2002, the World Open in 2002 and 2006; the British Open in 2001, 2003, 2004 and 2008; and the Australian Open in 2008. He attained World No. 1 ranking in September 2001 and again in February 2006. Anthony Ricketts is a former professional squash player from Australia. But after a disappointing following year, in which his only final appearance was in the British Open Squash Championship in England, losing to David Palmer in four games 10–11 (4–6), 11–7, 11–10 (3–1), 11–7, Shabana stormed back to the top of his game in 2005. Over a short period, he acquired a new coach, Ahmed Tahir; a new manager, the former Egyptian international Omar Elborolossy; and a wife, Nadjla. "All I have to worry about now is playing my matches – everything else is looked after for me now", said Shabana. And the effect was plain to see as a week after winning the Heliopolis Open in his home town Cairo, the seventh-seeded Shabana beat David Palmer and James Willstrop, before defeating Anthony Ricketts in the final to claim the St Louis Open crown in the United States. The British Open Squash Championships is the oldest tournament in the game of squash. It is widely considered to be one of the two most prestigious tournaments in the game, alongside the World Squash Championships in the 1970s, the British Open was generally considered to be the de facto world championship of the sport.) The British Open Squash Championships are often referred to as being the "Wimbledon of Squash". James Willstrop is an English professional squash player from Yorkshire, England. He was born in North Walsham, Norfolk, United Kingdom. He reached No. 1 world ranking in January 2012. The next event saw the in-form Egyptian brush aside all opposition in the Hungarian Open in Budapest, winning his third title in as many weeks after beating Grégory Gaultier in the final. But the World Open in Hong Kong confirmed his renaissance beyond doubt. Seeded five, Amr crushed fourth seed Lee Beachill in the quarters, Peter Nicol in the semis, and, in his third successive straight games victory, powered past David Palmer 11–6 11–7 11–8 in the final to become the first player since the heyday of the Khans to win the World Open title for the second time. The new year brought continuing rewards for Shabana with victories in the Canadian Classic in January, followed by the Tournament of Champions in New York in March, and the Bermuda PSA Masters in April – bringing his PSA Tour title tally to 12, and then in April 2006, Shabana became the first Egyptian player to reach the world number 1 ranking. In 2007, Shabana was crowned world champion for the third time in five years at the World Open in Bermuda and later in January 2009, Shabana's 33-month reign as World No. 1 was ended by his countryman Karim Darwish. In 2014, Shabana became the oldest professional to win a World Series title by defeating Grégory Gaultier in the finals of Tournament of Champions. Amr Shabana during the 2009 Kuwait Open semi-final match against James Willstrop. Shabana after winning the AON US Open. Thierry Lincou is a retired professional squash player from France. He reached the World No. 1 ranking in January 2004. That year, Lincou won the World Open title, the Hong Kong Open and the Super Series Finals. He has been known as one of the greatest lateral movers in the game, as well as being one of the fittest players in the history of squash. His nickname, "titi", was founded by a former competitor, Amr Shabana. He called Thierry "titi-tight," because of his precision and tight shots. Datuk Nicol Ann David is a Malaysian female professional squash player, currently ranked world number 6. Beginning in August 2006, David was the world number one for a record-breaking 108 consecutive months, finally ceding the ranking in September 2015 to Raneem El Weleily. She has won the World Open title a record 8 times in 2005, 2006, 2008, 2009, 2010, 2011, 2012 and 2014, as well as the British Open title in 2005, 2006, 2008, 2012 and 2014. In July 2016, she reached her 151st successive month in the top 10, breaking the record in both men's and women's categories. She surpassed Peter Nicol's previous records of 150 months. Rachael Margaret Grinham is a professional squash player from Australia. She won the World Open in 2007, and the British Open in 2003, 2004, 2007 and 2009. She reached the World No. 1 ranking in August 2004 and held it for 16 consecutive months. Ramy Mohamed Ashour is a professional squash player from Egypt. Widely regarded as one of the greatest players in the history of the sport, he became the youngest player to reach number one in the world since the 1980s, as well as being the first ever two time World Junior Squash Champion. Grégory Gaultier is a professional squash player from France. He has won the 2015 World Open Squash Championship, the British Open three times, in 2007, 2014 and 2017, the Qatar Classic in 2011, the US Open twice, in 2006 and 2013, the Tournament of Champions in 2009, and the PSA World Series Finals thrice, in 2008, 2009 and 2016. He reached the final of the World Open in 2006, 2007, 2011 and 2013, and the World No. 1 ranking in 2009. Gaultier is affectionately known to his friends as The General. Raneem Mohamed Yasser Saad El Din El Welily is a professional squash player from Egypt. She has reached a career-high world ranking of No. 1 in September, 2015. She is a two-time finalist at the World Open, in 2014 and 2016. She became the World Champion in 2017, after defeating Nour El Sherbini in the finals. The Official Men's Squash World Ranking is the official world ranking for men's squash. The ranking is to rate the performance level of male professional squash player. It is also a merit-based method used for determining entry and seeding in men's squash tournaments. The rankings are produced monthly. The current world number one is Mohamed El Shorbagy of Egypt. Nour El Sherbini, is an Egyptian professional squash player. She is a three times World champion and became the youngest woman to win the Women's World Championship (2015). In 2016, she retained her title and in 2019 won her third World Championship equalling the feat of Michelle Martin and rising to equal fourth in the all time list of world championships won. The 2011 PSA World Series Finals is the men's edition of the 2011 PSA World Series Finals. The top 8 players in the PSA World Series 2011 were qualified for the event. The event took place at the Queen's Club in London in England between 4–8 January 2012. Amr Shabana won his first PSA World Series Finals trophy, beating Grégory Gaultier in the final. The Men's Qatar Classic 2011 is the men's edition of the 2011 Qatar Classic squash tournament, which is a PSA World Series platinum event. The event took place in Doha from 16 October to 21 October. Grégory Gaultier won his first Qatar Classic trophy, beating James Willstrop in the final. The Men's United States Squash Open 2012 is the men's edition of the 2012 United States Open (squash), which is a PSA World Series event Gold. The event took place at the Daskalakis Athletic Center in Philadelphia, Pennsylvania in the United States from the 6th of October to the 12th October. Ramy Ashour won his first US Open trophy, beating Grégory Gaultier in the final. The 2006 Men's World Open Squash Championship is the men's edition of the World Open, which serves as the individual world championship for squash players. The event took place just in front of the pyramids in Cairo in Egypt from 1 September to 6 September 2006. David Palmer won his second World Open title, defeating Grégory Gaultier in the final. The 2005 Men's World Open Squash Championship is the men's edition of the World Open, which serves as the individual world championship for squash players. The event took place in Hong Kong from 29 November to 4 December 2005. Amr Shabana won his second World Open title, defeating David Palmer in the final. The 2004 Men's World Open Squash Championship is the men's edition of the World Open, which serves as the individual world championship for squash players. The event took place in Doha in Qatar from 28 November to 3 December 2004. Thierry Lincou won his first World Open title, defeating Lee Beachill in the final. The 2003 PSA Men's World Open Squash Championship is the men's edition of the 2003 World Open, which serves as the individual world championship for squash players. The event took place in Lahore in Pakistan from 14 December to 21 December 2003. Amr Shabana won his first World Open title, defeating Thierry Lincou in the final. The Men's Qatar Classic 2013 is the men's edition of the 2013 Qatar Classic squash tournament, which is a PSA World Series platinum event. The event took place in Doha from 10 November to 15 November. Mohamed El Shorbagy won his first Qatar Classic trophy, beating Nick Matthew in the final. The 2002 PSA Men's World Open Squash Championship is the men's edition of the 2002 World Open, which serves as the individual world championship for squash players. The event took place in Antwerp in Belgium from 6 December to 14 December 2002. David Palmer won his first World Open title, defeating John White in the final. The PSA World Tour 2015 is the international squash tour organised circuit organized by the Professional Squash Association (PSA) for the 2015 men's and women's squash season. The most important tournament in the series is the World Championship held in Bellevue, Washington in the United States. The tour features three categories of regular events, World Series, which feature the highest prize money and the best fields, International and Challenger. The Men's United States Squash Open 2014 is the men's edition of the 2014 United States Open (squash), which is a PSA World Series event Gold. The event took place at the Daskalakis Athletic Center in Philadelphia, Pennsylvania in the United States from the 11th of October to the 18th October. Mohamed El Shorbagy won his first US Open trophy, beating Amr Shabana in the final. The 2009 Dunlop British Open Championships was held at the National Squash Centre from 8–14 September 2009. Nick Matthew won his second British Open title by defeating James Willstrop in the final. This was the first all English final since the pre-war challenge system. ↑ "QATAR CLASSIC 2008" (PDF). qatarsquash.com. Retrieved 2013-08-09. ↑ "Shabana wins Egyptian duel in Seville". Squashplayer.co.uk. Retrieved 2009-05-19. ↑ "Amr Shabana - First Egyptian World Champion". Squashtalk.com. Archived from the original on 2008-12-02. Retrieved 2009-05-19. ↑ "Final from St Louis". Squashtalk.com. Archived from the original on 2008-02-12. Retrieved 2009-05-19. ↑ "Sahabana sneaks by Gaultier". Squashtalk.com. Archived from the original on 2007-08-14. Retrieved 2009-05-19. ↑ "2006 Canadian Classic result". Squashtalk.com. Archived from the original on 2009-07-05. Retrieved 2009-05-19. ↑ "Shabana & Atkinson win Tournament of Champions titles". Squashplayer.co.uk. Retrieved 2009-05-19. ↑ "Shabana wins Super Show". Squashsite.org.uk. Archived from the original on 29 May 2009. Retrieved 2009-05-19. ↑ "World number ones takes Hong Kong title". Squashsite.org.uk. Archived from the original on 26 May 2009. Retrieved 2009-05-19. ↑ "Shabana Beats Gaultier to Confirm No. 1 Status". Squashtalk.com. Archived from the original on 2008-11-21. Retrieved 2009-05-19. ↑ "The last match". Squashsite.org.uk. Archived from the original on 24 May 2009. Retrieved 2009-05-19. ↑ "Shabana takes two". Squashsite.co.uk. Archived from the original on 24 May 2009. Retrieved 2009-05-19. ↑ "Saudi showdown". Atcosquash.com. Archived from the original on 23 May 2009. Retrieved 2009-05-19. ↑ "Top seeds take Qatar crown". Squashsite.co.uk. Archived from the original on 24 May 2009. Retrieved 2009-05-19. ↑ "Three in a row for Nicol and Amr". Squashsite.org.uk. Archived from the original on 2008-07-19. Retrieved 2009-05-19. ↑ "Shabana makes it three". Squashsite.co.uk. Archived from the original on 26 May 2009. Retrieved 2009-05-19. ↑ Steve Cubbins, Framboise Gommendy. "Shabana's turn". Squashsite.co.uk. Retrieved 2009-12-03. ↑ "SFour each for Nicol and Shabana". Squashsite.co.uk. Retrieved 2009-12-03. ↑ "David & Shabana shine in KL". Squashsite.co.uk. Archived from the original on 7 January 2010. Retrieved 2009-12-03. ↑ "Magnificent Shabana takes US Open". Squashsite.co.uk. Archived from the original on 7 January 2010. Retrieved 2009-12-03. ↑ Steve Cubbins, Framboise Gommendy. "Five and counting for Shabana & David in Hong Kong". Squashsite.co.uk. Archived from the original on 27 December 2009. Retrieved 2009-12-03. ↑ "It's four for Shabana". Squashsite.co.uk. Archived from the original on 10 November 2009. Retrieved 2009-12-03. ↑ "Amr Shabana Is US Open Champion". www.psaworldtour.com. Retrieved 2011-10-07. ↑ "Shabana Wins PSA World Series Finals Crown". www.psaworldtour.com. Retrieved 2012-01-08. ↑ "Shabana Retains World Series Finals Crown". www.psaworldtour.com. Retrieved 2013-01-07. ↑ "Shabana Wins 2014 Tournament of Champions". www.psaworldtour.com. Retrieved 2014-01-24. ↑ "Darwish grabs crown as Shabana bows out". Pakistan Daily Times. Archived from the original on 2011-06-07. Retrieved 2009-05-19. ↑ "Palmer's British Hat-trick". Squashsite.co.uk. Retrieved 2009-05-19. ↑ "White hot in cold Chicago". Squashsite.co.uk. Retrieved 2009-05-19. ↑ "Nicol back on top in Ohio". Squashplayer.co.uk. Retrieved 2009-05-19. ↑ "Gaultier claims US Open title". Squashsite.co.uk. Retrieved 2009-05-19. ↑ "Ramy & Nicol takes Kuwait crown". Squashsite.org.uk. Archived from the original on 2009-09-08. Retrieved 2009-05-19. ↑ "Ramy retains against rusty Shabana". Squashsite.co.uk. Retrieved 2009-12-03. ↑ Framboise Gommendy. "Ramy wins a thriller". Squashsite.co.uk. Retrieved 2009-12-03. ↑ "A first major for Karim". Squashsite.co.uk. Archived from the original on 7 January 2010. Retrieved 2009-12-03. ↑ "DAVID COMPLETES FIRST U.S. OPEN THREE-PEAT; ELSHORBAGY ROLLS OVER SHABANA". usopensquash.com. Retrieved 2014-10-18. ↑ "Amr Shabana - Professional Squash Association". www.psaworldtour.com. Retrieved 2018-07-10. Wikimedia Commons has media related to Amr Shabana .